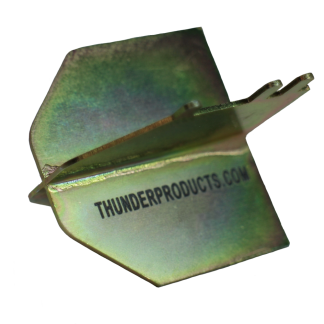 The revolutionary new jetting system from Thunder Products. 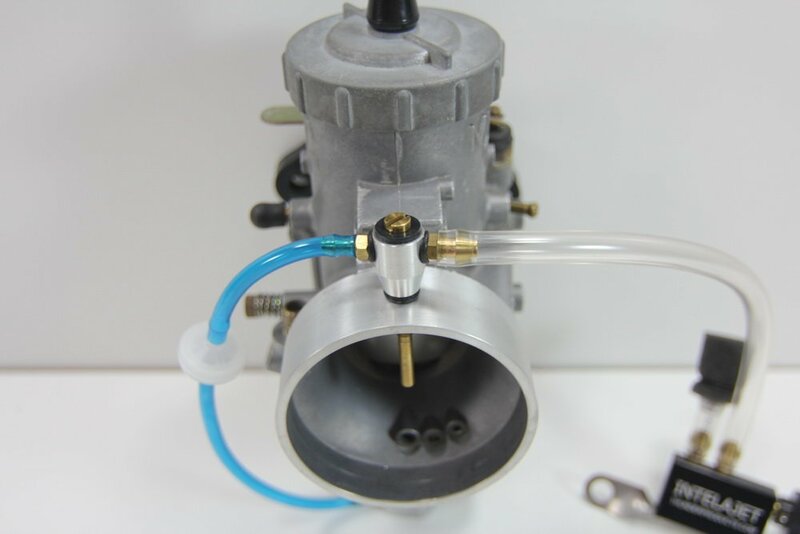 Rejet your carburetor on the fly, right from the handlebars! 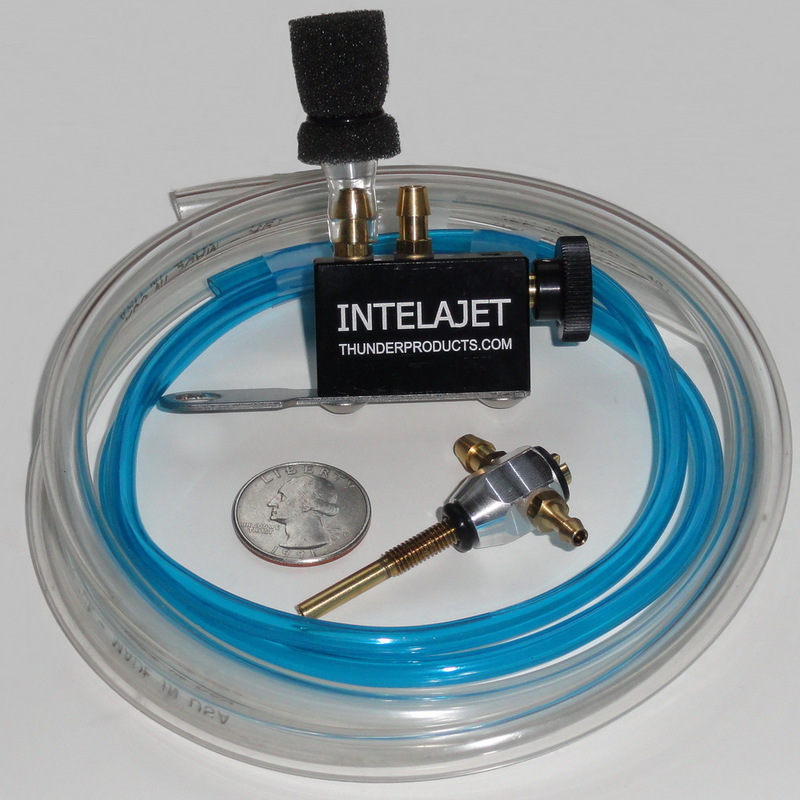 INTELAJET is the new high-tech version of the time proven Dial-A-Jet system (since 1972). 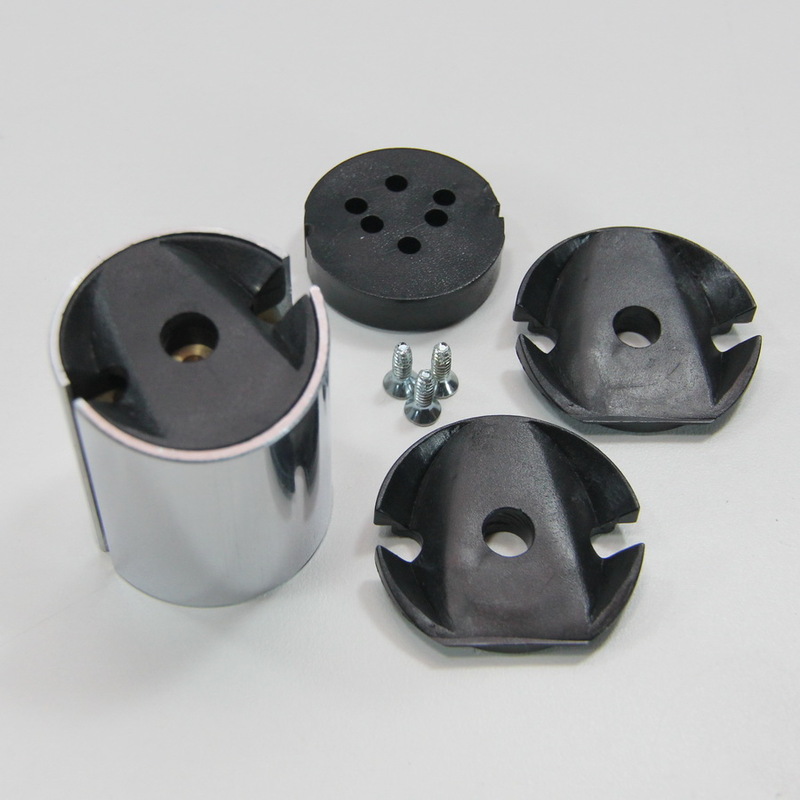 It is machined from billet aluminum, laser engraved and anodized for great looks and corrosion protection. NOT legal for sale in California on pollution controlled motor vehicles or in other states where similar laws apply. For off-road racing use only – Not for aircraft use. 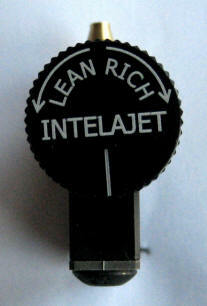 INTELAJET has a broader range of fuel delivery from lean to rich (more settings). The fuel delivery module that mounts on the carburetor is smaller to accommodate tight clearance areas. The base unit that mounts near the handlebars looks neat, clean and high-tech. Performance is exceptional and being able to adjust it on the fly makes it user friendly. Installation is quick and easy requiring only common hand tools. Instructions are excellent and tech support is available. 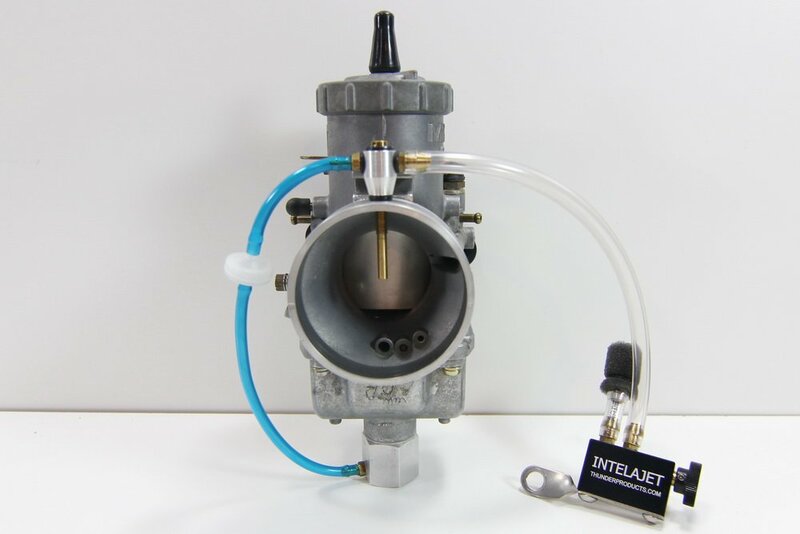 INTELAJET is easily the most advanced fuel metering system available for carbureted engines on ATV’s, motorcycles, snowmobiles, Jr. Dragsters, boats, etc. This is a highly evolved product sharing many of Dial-A-Jet’s great features while offering advancements. 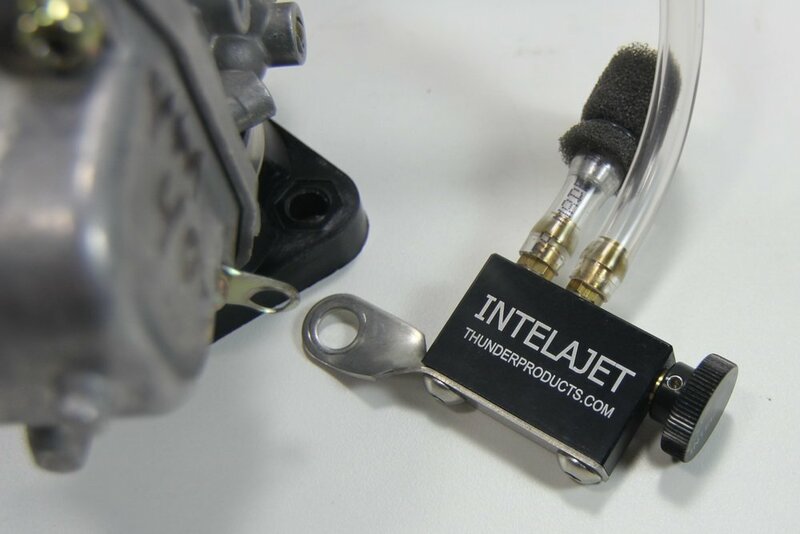 The INTELAJET allows you to control fuel flow from the rider’s position. This unit can be mounted number of places accessible to the rider. 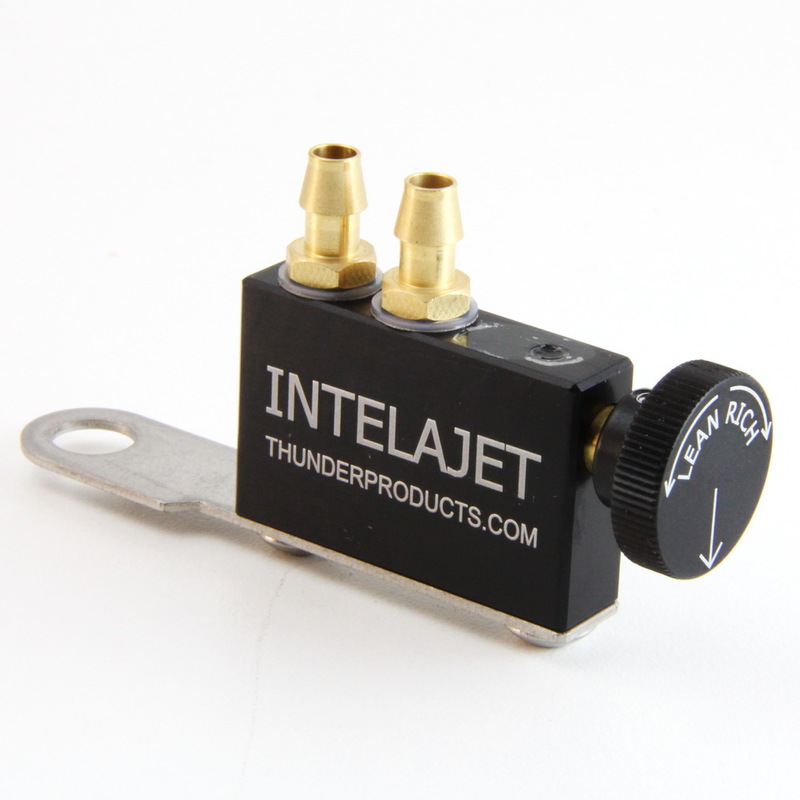 The INTELAJET’s main metering module as well as the carburetor module is machined from billet aluminum. The modules are extremely small and lightweight and have many mounting and installation options. 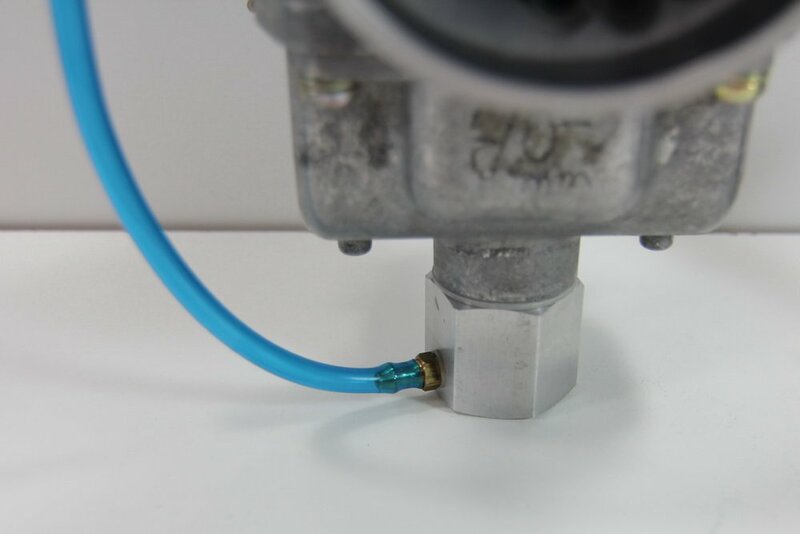 The main metering module is a sealed unit with the exception of the air inlet port which is supplied with a snorkel kit that filters the incoming air. Fuel flow adjustments are made simply by rotating the knob on the main metering module in the appropriate direction (richer or leaner). 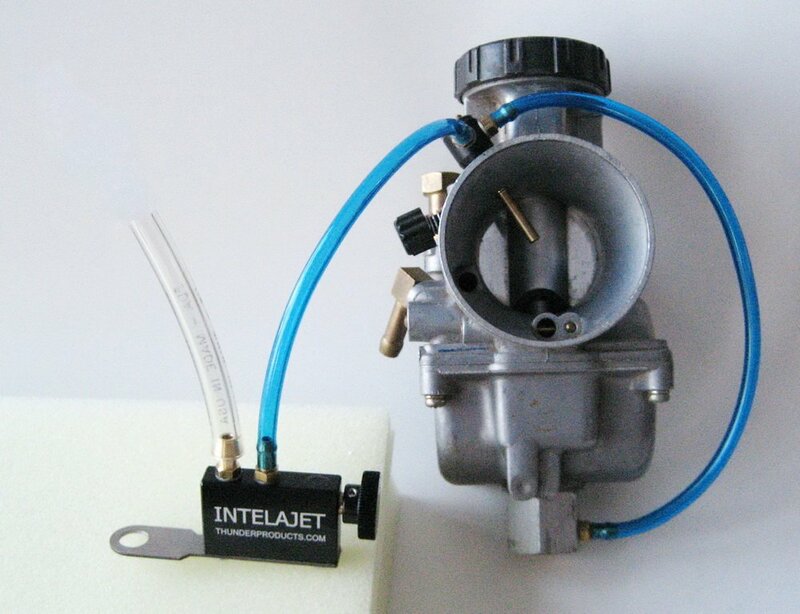 The carburetor module is a completely sealed unit which keeps out all of the mud, water, dirt, dust, sand and debris. 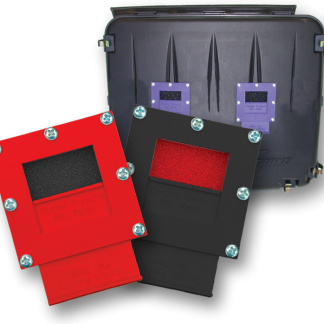 The INTELAJET offers performance and fuel efficiency and reliability as well as convenience and utility that no other system even comes close to. 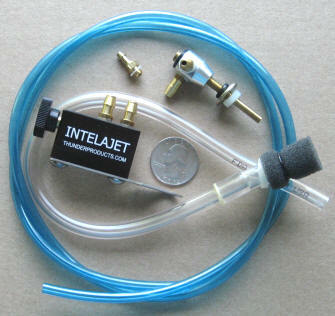 Get an INTELAJET today and enjoy improved performance and fuel efficiency. 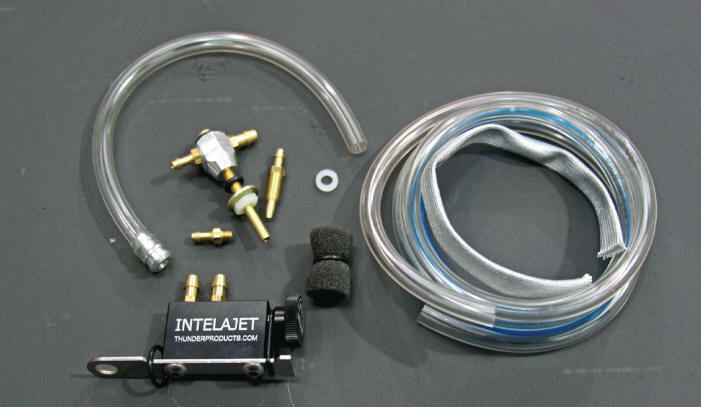 Ride any altitude or temperature without changing jets.